Rachel began face painting in 2008. With the support of long time friend and other lead artist Jackie York, was able to start this project that has grown a lot since day 1! She has painted all over the bay area and has been a feature artist for large corporate events, theater productions, TV shows and even birthday parties. Rachel began Body painting in late 2009 and has now been featured on the cover of Skin Markz magazine, as well as second place winner of the body art competition at BayFABA 2016 in San Francisco! She was recently signed by an agency as one of there top body painters! Rachel is available for Face painting, glitter tattoos, special effects makeup, airbrushing, flash tattoos, body painting, Henna and more! Jackie York has been with Make-up Your Mind and Fantabulous face painting since the beginning! She has also been a feature artist at several events ! 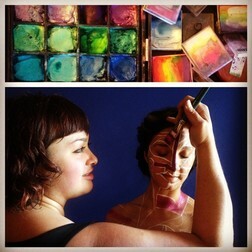 Although she is an excellent face painter, she is also know for her special effects makeup and body painting skills. Jackie is available for Make-Up, Face painting, glitter tattoos, special effects makeup, airbrushing, flash tattoos, feather extensions, body painting, Floral & Prop Design, Photography, and more! We have worked with Nastassia for about one year now., although she has been face painting for nearly a decade! She is also a very talented costume designer and performance artist. She is timely, creative, and super fun! She is great with kids and adults and can create almost any look ! Nastassia is available for kids parties, special effects makeup, and corporate events. She also specializes in henna and Jaguar. When you hire Jen you get the full package, personality and talent in one! We can not say enough about her way with kids and adults. Whether you are looking for a great night out with awesome fantasy makeup or celebrating a kids birthday party. Air Bene has been a featured artists with Make-up Your Mind for 4 years! She has lots of experience with high volume events and great for company events, raves or club nights. She is also available for custom makeup looks and and airbrush fantasy looks for night clubs and adult affairs. Cynnamon is a professional face painter, fantasy makeup artist and body painter that services all types of events . She not only LOVES face painting but she is very patient and good with kids. Cynnamon and her team of entertaining artists will create smiles on all of the guests at your event or child's birthday party and adults will enjoy getting their faces painted too!!! Overall, face painting will bring joy, excitement and imagination to the whole party. 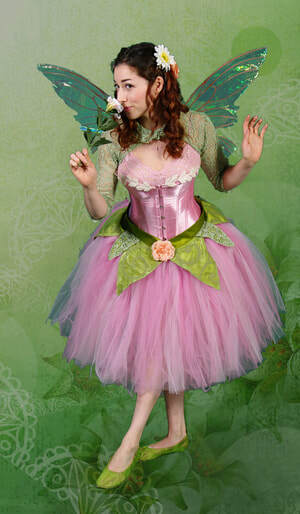 Specializes in Face painting, Airbrush, Body Paint, Glitter Arts, & Stilt Walking. She has been a professional face painter for 10 + years- people are her canvas and with imagination, paint, stencils, & fantastical styling she loves to help others ‘Become the Art’. Jeshka is a body painter, Henna artist, model, actor, puppeteer, and performer. She has an A.A. in Theatre and spends her time doing what she loves every single day. Her biggest passion is body painting. She began as a model, getting painted at least a dozen times, and gained a fast growing amount of knowledge about the other side of the brush. She has her passion for being in front of the camera to thank for being introduced to the art of bodypainting! Naomi has been working professionally as a face painter and children's entertainer in the Bay Area since 2010.